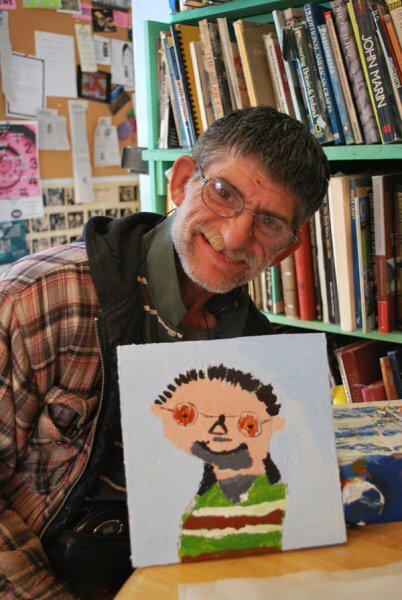 Earl is a master in both wood and fiber arts, as well as in the art of kindness. 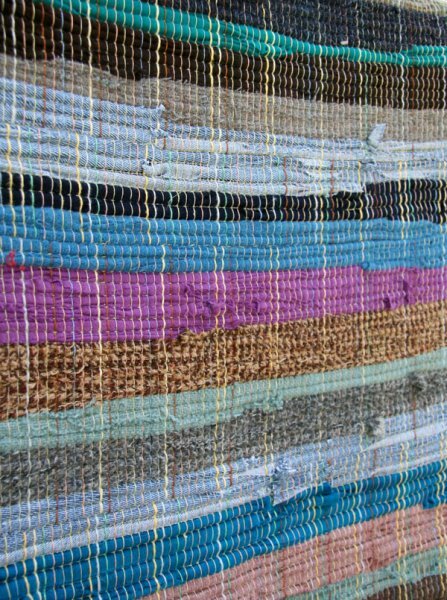 His monumental rugs and wall hangings reflect years of dedication to the craft as well as a delicate eye for color. As he will tell you, he dreams the colors at night and then comes and weaves those colors the next day. Earl could take apart and put together a four harness floor loom with his eyes closed, and would respond ”why not?” if asked to do it. 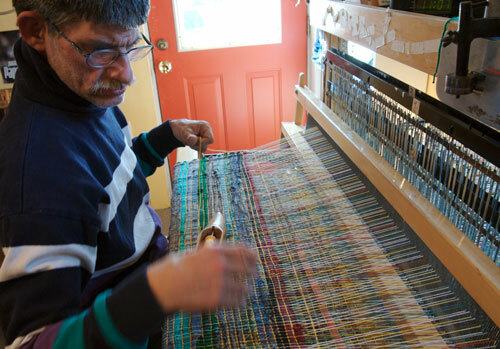 When he is not weaving, or helping other weavers with problems on their looms, Earl can be found constructing unique furniture and sculpture in the wood shop. Earl is as humble as he is skilled and can often be heard starting a conversation with ”I was thinking…” as he humbly shows one of the Spindleworks staff a better way of doing something.